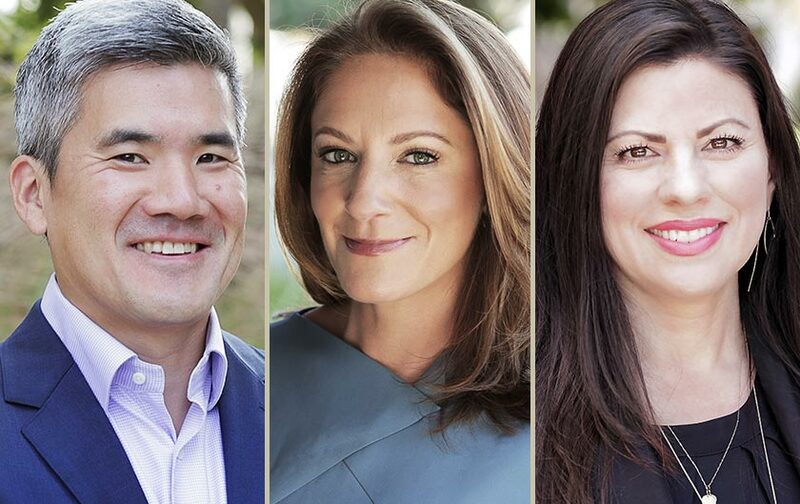 LOS ANGELES, CA (September 27, 2018) – It was announced today that Participant Media — the leading media company dedicated to entertainment that engages audiences to participate in positive social change — is bolstering its executive team by naming Jim Hu as the company’s Senior Vice President of Strategy & Business Development and Melinda Arons as Senior Vice President of Social Impact. Additionally, Participant has promoted Shelly Hance to lead the company’s Human Resources department as Senior Vice President reporting to Andy Kim, Participant’s CFO. The trio of senior executives will further support the company’s overall vision and business strategy. Reporting to Participant CEO David Linde, Hu will oversee the design and implementation of the company’s long-range strategy across film, television and digital media in both domestic and international markets. He will also oversee the evaluation of business development prospects and strategic partnerships. Arons is Participant’s first key hire under Holly Gordon, the Company’s Chief Impact Officer to whom Arons will report. In this newly created role, Arons will help build campaigns in support of the company’s social impact strategy that address the most important issues of our time. Linde stated: “I’m thrilled that Jim and Melinda have chosen to join the company and that Shelly has so fully embraced her expanded role here. Jim’s dual experience in both digital and traditional media businesses will be a great asset as we continue to expand our content and digital footprint. Melinda provides great insight from her dynamic career that will help Participant deliver on its mission. And Shelly will continue to be an even more instrumental component of the makeup of our company as we plan for continued growth. ”Participant Media has experienced a string of successes throughout the past year, including recent major festival wins for Alfonso Cuarón’s Roma (Golden Lion winner in Venice) and Peter Farrelly’s Green Book (Toronto’s People’s Choice Award winner). The company also had its highest-grossing release ever with the $300 million-plus worldwide box-office hit Wonder, in addition to Steven Spielberg’s Oscar® nominated The Post; Academy Award® winner for Best Foreign Language Film, A Fantastic Woman; and RBG, the summer box-office sensation, which grossed more than $15 million worldwide. Hu is a digital media veteran who has led strategy, operations and monetization teams across global digital brands including Instagram and Yahoo! Prior to Participant, he was Senior Vice President and General Manager at the Los Angeles Times. Hu started his career as a business news reporter at CNET, a part of CBS Interactive. He earned his MBA at the UCLA Anderson School of Management and a bachelor’s degree at Tufts University. Arons started her career at Fox News and spent 12 years at ABC News as a producer for Good Morning America and Nightline, where she ultimately became the Chief Political Producer and Senior Producer. While at ABC she won a Peabody and was nominated for multiple Emmys®. In 2013, she joined Facebook to help build their Media Partnerships team, and left in 2016 to join the Hillary For America presidential campaign as the Director of Broadcast Media. Since the election, Arons has consulted for the International Rescue Committee and for Lincoln Square Productions, the long form unit of ABC News. She attended Georgetown University. Hance was promoted from her previous role of Vice President of Human Resources at Participant Media. She joined the company in 2013 and has since created and implemented employee programs, including in 2018, the company’s first employee survey, performance coaching and development, culture building, employee engagement, diversity and inclusion, talent management and acquisition. Prior to Participant, Hance has worked in Human Resources for Morgan Stanley, Brash Entertainment, New Line Cinema, Warner Home Video, Warner Music Group, and Rhino Entertainment.